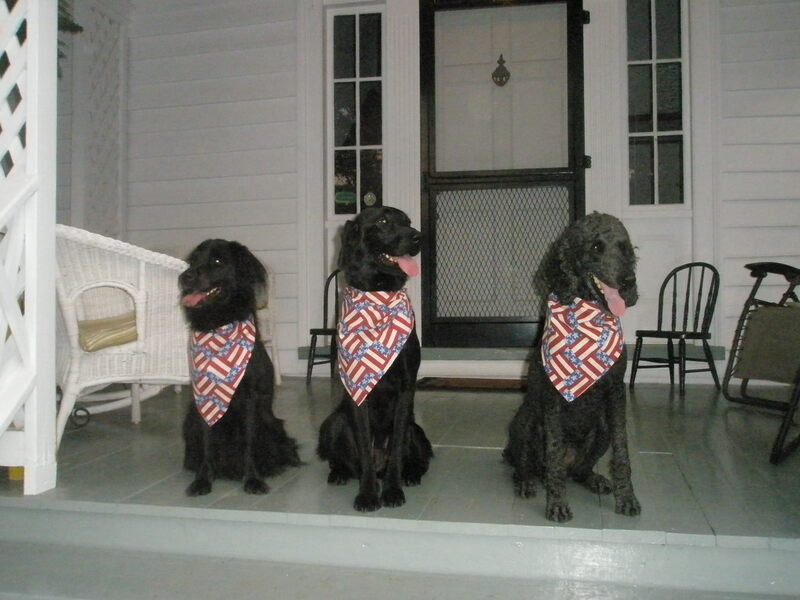 Josie, Tinker, and Bonnie model their patriotic kerchiefs at Oak Grove Plantation. 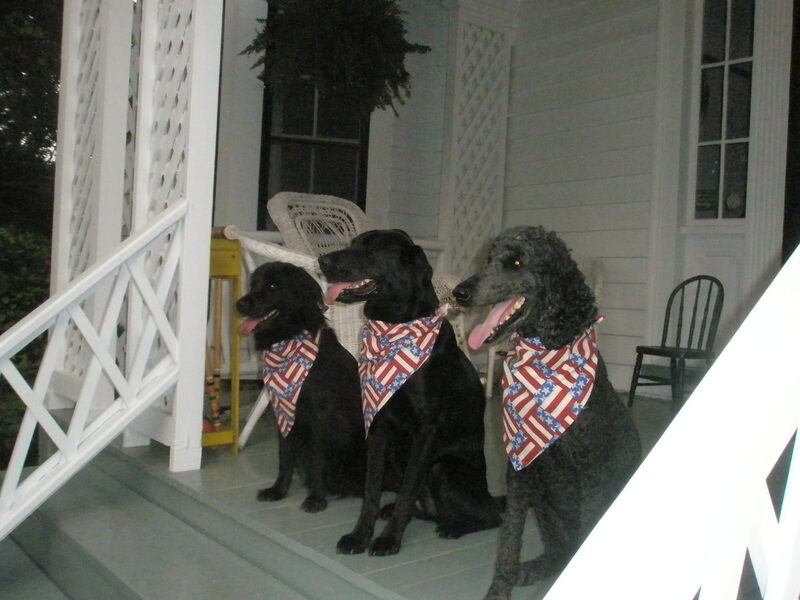 Jack, Tinker, and I spent July 4 weekend at Oak Grove Plantation, a lovely bed and breakfast in southern Virginia that Jack’s family has gone to for decades. I love the history of the 1830’s house and the fascinating stories the proprietor tells of her family and the Civil War. And Tinker loves the 400 acres of land. She spent the entire weekend off the leash, romping with the other dogs. As usual, she got into more than her fair share of trouble–eating corncobs, chasing skunks, and discovering a nest of yellow jackets–but I can’t stay mad at such a patriotic pup!